Being a Southern girl, I am always up for any occasion that calls for a party and a football game. The big game coming up next Sunday is a great excuse to gather friends, even if some of them are more focused on the commercials than the game itself. Filet mignon appetizers from Omaha Steaks. Secret Squirrel Cold Brew Coffee. When we bought our apartment six years ago, we ripped out the nasty, buckling parquet floors (yuck) and installed wall-to-wall carpet. It was quicker and easier than doing hardwood floors, and with a couple of rooms with odd corners, we realized that carpet would also be a lot less expensive than hunting down rugs for each room. As much as I love warm, cozy carpet under my feet in the morning, I was quickly reminded that keeping carpet looking clean and bright can be a challenge. Especially when one of us (me) tends to walk around the apartment with a full cup of coffee early in the morning. But now, I feel a bit more at ease if coffee, red wine, or dirt gets into the carpet. This fall, I am doing a series of TV segments for Carbona, which is sponsoring those segments and this post, showing their Oxy-Powered Carpet Cleaner. To test this out at home, we tried it out on some set-in dirt stains that had been in our living room for way-too-many-years. We brushed it into the stains, and they came out immediately! Since red wine tends to be one of the most dreaded carpet spills, in each of these segments, I spill red wine onto carpet and show how quickly and easily Carbona cleans it up! (in case you’re wondering - that is why there is a glass of merlot in front of me on this table). 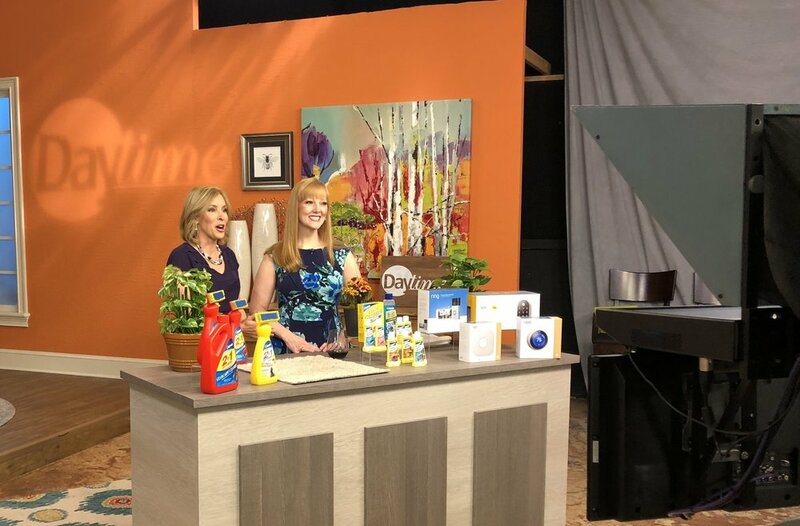 You can check out the full segment from the syndicated "Daytime" show here. When I am getting ready to head to the airport for a TV tour, very few things make me happier than receiving an email from American Airlines announcing "your upgrade has been confirmed." Sure, the upgrade might be for a 45-minute flight, but each and every upgrade feels like a small win when you take more than 150 flights each year. Everyday events can be upgraded too, such as Labor Day cookouts or fall tailgate parties. 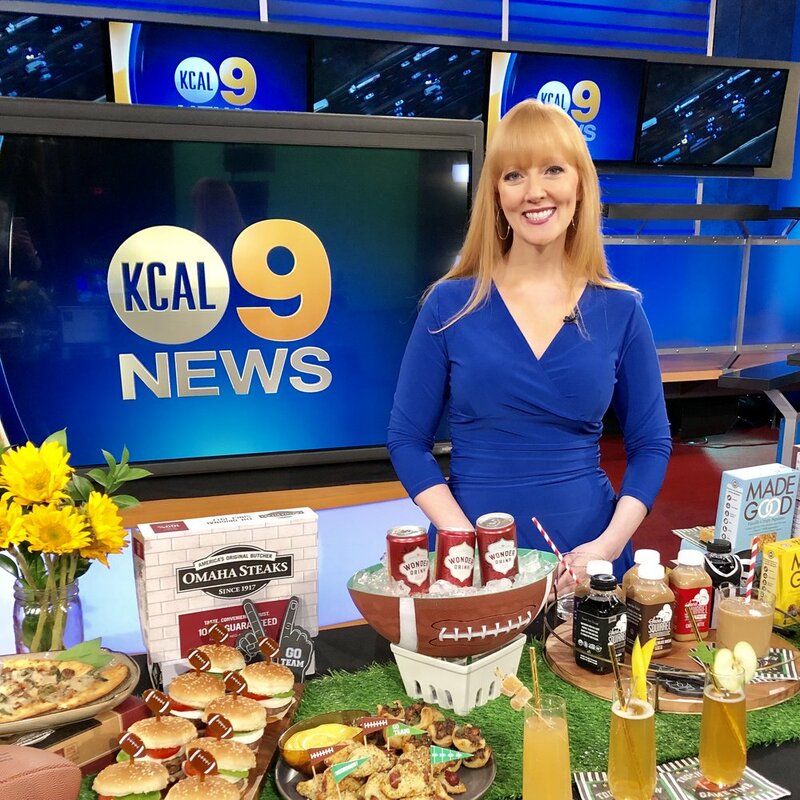 To make those gatherings a bit more festive, I did a segment today on the "Daytime" show recommending wines to go with different types of burgers. I did this segment on behalf of Kobrand Fine Wine & Spirits and Omaha Steaks, both of which sponsored the segment and this post. Omaha Steaks actually has more than a dozen different types of burgers - there are even options for vegetarians - along with a new line of gourmet burger toppers (can anyone say Smoky Bacon Jam?). Kobrand has food-friendly wines to suit any taste or budget, from a fruity Louis Jadot Rose (with a twist top!) to my favorite Champagne, Taittinger Brut La Francaise. Below are the pairings I shared on this segment. You can check out the full segment below. Veggie Burger with Dijon Mustard Aioli paired with Louis Jadot Rose. Alaskan Pollock Burger with Crispy Onions and Jalapenos paired with St. Francis Merlot. Filet Mignon Sliders with Smoky Bacon Jam paired with Taittinger Brut La Francaise. Delmonico Burger with Sweet Bourbon Onions paired with Masi Campofiorin Rosso. Classic Burgers with Tomato Jam paired with Cakebread Cellars Pinot Noir. Holiday Tables: Bring on the Bling! If you know me, you know I have a bit of an obsession with tablescapes and holiday decor. I come by this honestly. My mom loved to entertain, and was always prepared to host dinner for four or 40, even on short notice. For our Thanksgiving dinner this evening, I will layer a tablecloth with beaded place mats, sequined charger plates, crystal stemware, and other bling - basically, as much as I can fit in and still have room for the roasted turkey, cornbread dressing, Brussels sprouts, cauliflower rice, homemade yeast rolls, and more! So, I always get excited during the holiday season to showcase easy holiday table ideas on TV. The super-talented designers I work with at Bed Bath & Beyond, which is sponsoring this post and segment, set up these gorgeous tables for a recent holiday segment I did at KCAL9 in Los Angeles. You can take a look at the full segment here!